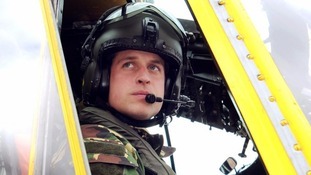 The Duke of Cambridge previously piloted Sea King helicopters for the RAF in Anglesey. Over the coming months he will undertake job-specific training before he begins piloting ambulance missions during the summer. The Duke and Duchess of Cambridge have a home at Anmer Hall on the Queen's Sandringham Estate in Norfolk. "The Duke of Cambridge has today started work as an employee of Bond Air Services. "Over the coming months he will undertake job-specific training before he begins piloting missions for East Anglian Air Ambulance during the summer. The mandatory training will involve simulator, aircraft and in-flight skills training. The East Anglian Air Ambulance serves Bedfordshire, Cambridgeshire, Norfolk and Suffolk working in partnership with the East of England Ambulance Trust. They can fly to emergencies anywhere in the region within 25 minutes.